The official email arrived in my inbox this morning at 7:33am. 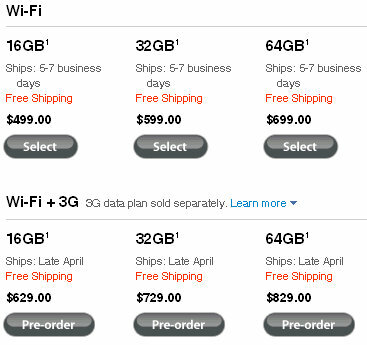 It was the email directly from Apple telling me that the Apple iPad 3G + Wi-Fi will be available today. 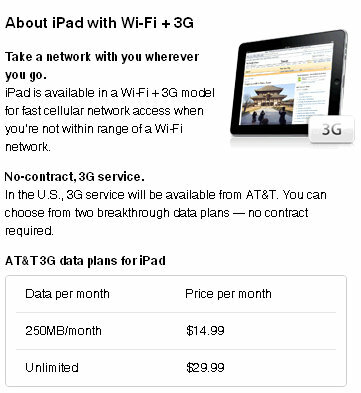 Apple technical made their official iPad 3G release date announcement in a press release on April 20th. 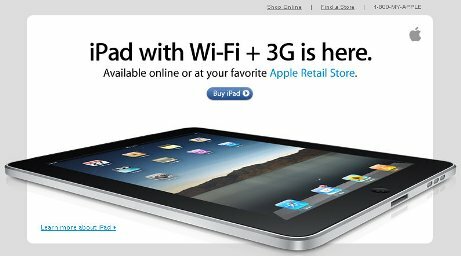 In that press release, Apple stated very simply that its magical iPad™ will be delivered to US customers who’ve pre-ordered on Friday, April 30, and will be available in Apple retail stores the same day starting at 5:00 p.m.
Today the official marketing email arrived and needless to say, the iPad frenzy is underway – again. When you start approaching your 250 mb/month quota, you get a warning when you have 20% of your data left, 10% of your data left, and when you’re out of data. When you run out of the 250Mb, you are given the option to add an additional 250Mb or switch to the unlimited plan.